Elos is the first and only technology that uses combine energies to effectively and gently remover hair of many colors and types form all skin tones. Elos is truly the next generation of safe and effective hair removal technology. Achieving beautiful, silky smooth skin is now easier than ever. 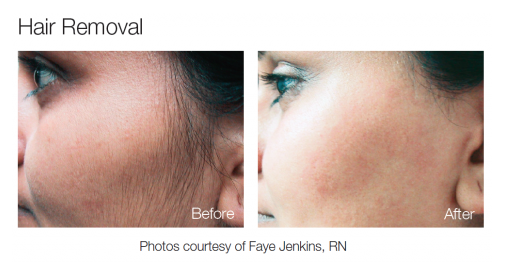 How does hair removal with elos works?